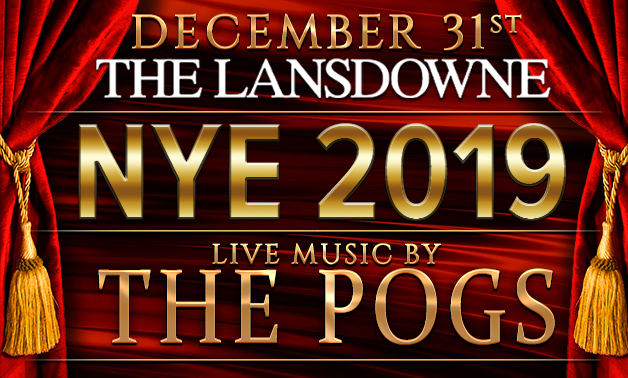 Ring in the New Year at The Lansdowne Irish Pub & Music House with music by The Pogs! Tickets are available at the Mohegan Sun Box Office, by going to ticketmaster.com or by calling 800.745.3000. Tickets will includes a champagne toast, party favors and more! For VIP reservations please contact Heather at 860.862.7005.